At Number One Dental Practice we offer the option of gradually whitening your teeth in your own time. 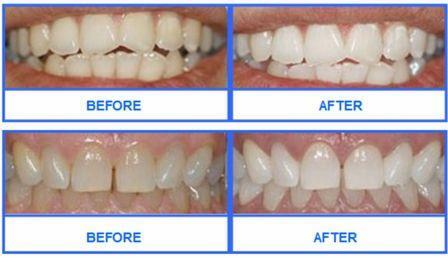 The dentist will take impressions of your teeth which are used to make trays that perfectly fit your mouth. You will be given whitening gel to load into the trays which can be worn day or night (most popular) to gradually whiten your teeth. Along with full instructions you are also given some desensitising gel in case you experience some sensitivity during treatment. The trays are usually worn for 14 applications, although this may vary from patient to patient’s preference depending how white they want their teeth to go. We estimate your teeth could whiten by approximately 8 shades. What is the difference between Zoom Power Whitening and Home Whitening? The end result is the same, Zoom just achieves it faster (1 hour). Some patients experience mild sensitivity during whitening treatment, but this is less likely to occur with home whitening. Why not Book a consultation today? Or call 0116 244 8966.